You’ve probably heard me mention a few (or exactly 872, but who’s counting) times that Denmark is usually rainy and cold. Now another weather condition is asking to be added to my list – fog. 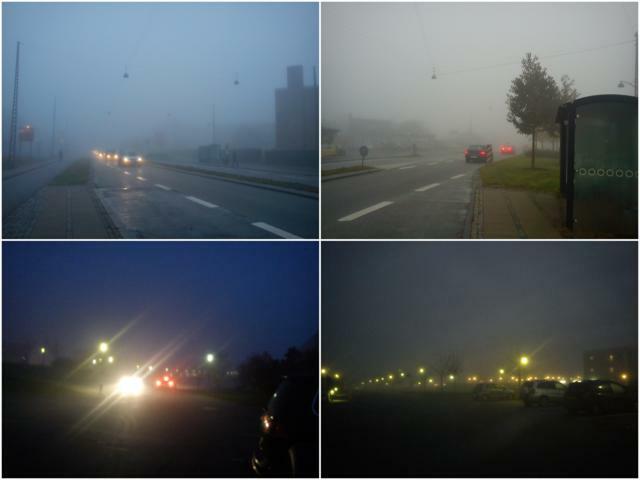 It’s come down upon Copenhagen around two weeks ago, suddenly and unexpectedly (as opposed to the more polite fogs that have the decency to call and schedule an appointment). Using my trusty and utterly crappy mobile phone camera I’ve taken some morning pictures of this fog.